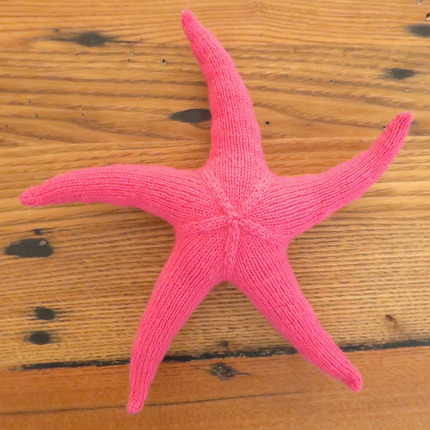 Now that it’s June it’s time to think about summer knitting projects, and this starfish project from Just Crafty Enough is a really fun one. This project uses a fun construction method, where you knit the legs first and the join them and work toward the center. It’s super cute and could be worked in any weight of yarn for a little trinket or a big pillow-sized delight. I’ve never heard it called a sea star?! Weird. I hadn’t, either. I guess it’s more technically correct because it’s not really a fish? Leave it to Sesame Street to question my learning. Nice post on the pattern, thanks. Looks like it could also be done without legs for a sand dollar.